Celebrate the Easter holiday with joyous and beautiful Easter cards from Leanin' Tree! You'll enjoy saying "Happy Easter" to friends and loved ones with Easter cards filled with the glory, blessings, and springtime fun of the Easter holiday! 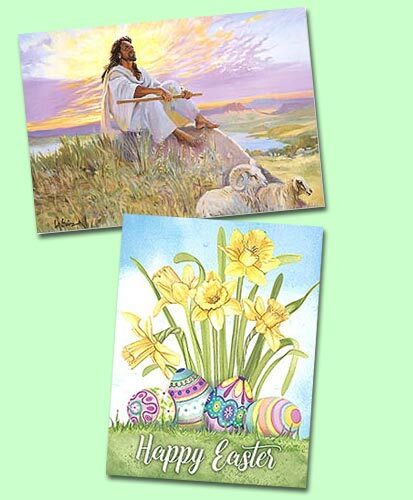 Be sure to shop our delightful collections of religious Easter cards, and funny Easter cards! Or create your own one-of-a-kind Easter card using your own photos and Happy Easter messages when you choose our Personalized Cards — just look for the pencil icon ! Looking for the right words to add to your Easter card? Browse our suggestions for What to Write in an Easter card!